2019 is ready for you! Do you ever get frustrated because you’re not sure what you should be doing? Have you put off defining your goals because you don’t really know what steps you would take to achieve them? Are there habits that you know you should be cultivating but you just can’t seem to make them stick? 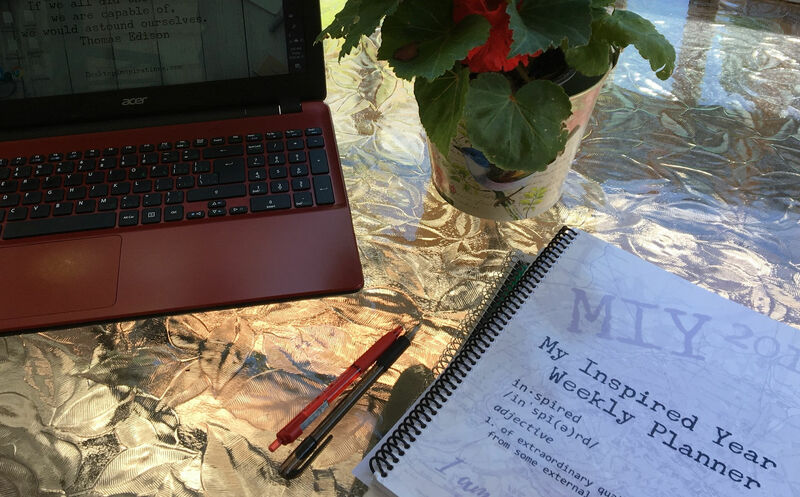 My Inspired Year Weekly Planner is not just for planning your life. It is also for improving your life. I want to inspire you to make 2019 your best year yet! To do that, ways to make your life better are built right into My Inspired Year planner. There are places to track your goals, help you develop habits to improve your life, and just keep track of those everyday things that we all need a planner for. Includes the last quarter of 2018 for your convenience. Available Instantly as a Downloadable Product. A free training course is available at MyInspiredYear.com. Click here to order. Price in US dollars. I know, this video is outdated, but the benefits described also apply to the 2019 edition. New this year: Special training in how to get the most benefit from your planner is INCLUDED in your purchase of My Inspired Year.